You can create a special filter for your schedules that includes only certain Categories. This can be useful if you have certain Categories that you would like to view at the same time on the screen. 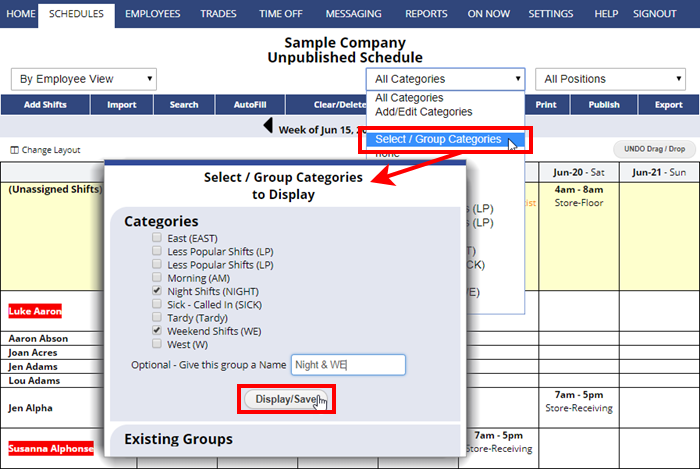 This is just another way to create a shortcut for viewing a set of shifts. You can create as many Category Groups as you like and each Category can be include any number of groups that you like. If you look at the Category dropdown again, it will list your new Category group if you gave it a name.